I have an obsession with makeup brushes. As a result of this I have loads in my collection. 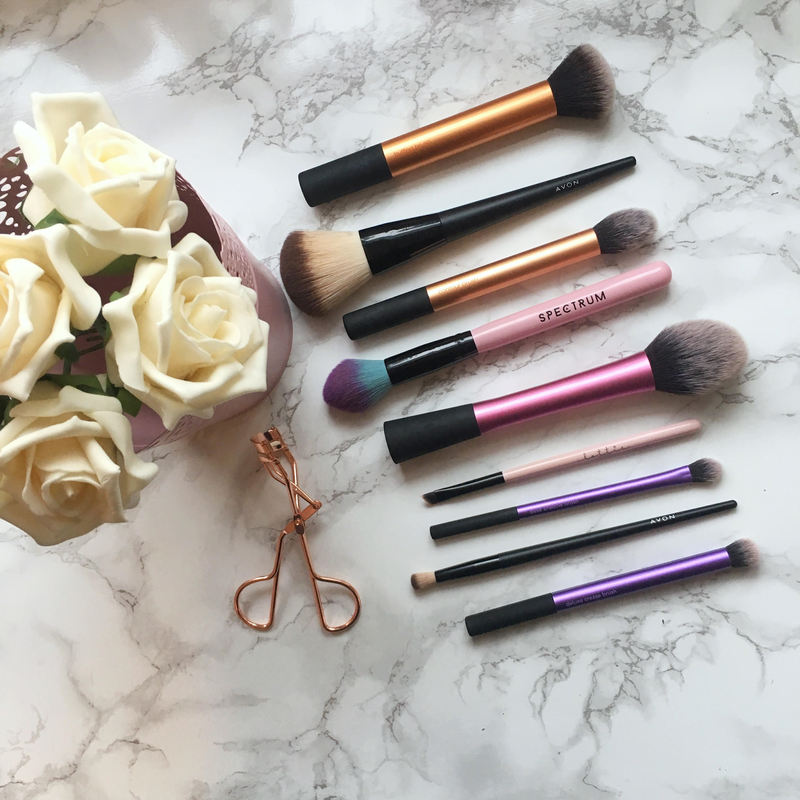 However, there are a few brushes that I use every time I do my makeup. For foundation I don't use anything else apart from the Buffing Brush from Real Techniques. You can get this from the Core Collection. I have a lot of Real Techniques brushes bceause they are so good and the Buffing Brush is no exception. 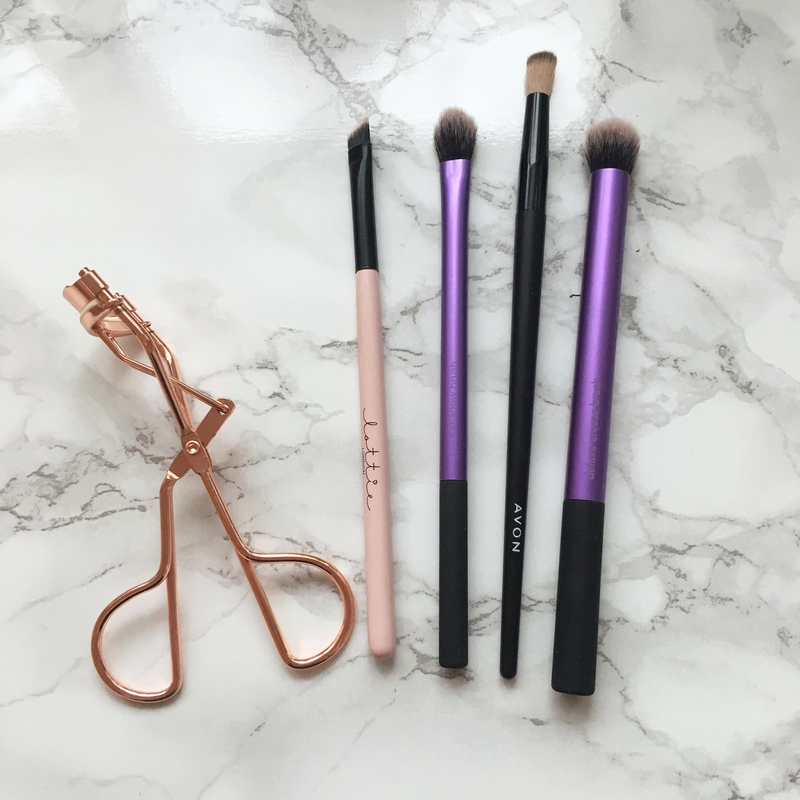 Also from the Core Collection by Real Techniques is the Contour Brush. I don't use this for contour I actually use it to blend in concealer. I love this brush because it fits really nicely under my eyes and like all Real Techniques brushes it is so soft. For setting powder I use a big powder brush from Avon. This does a good job at dusting a small amount of powder all over my face. Plus it's super soft and really inexpensive. Another Real Techniques brush I love is the Blush Brush. I don't normally wear blusher so I use this for bronzer as it's such a good size for bronzing up my face. The main brands of makeup brushes I use are Real Techniques (obviously) and Avon. However, I have one brush from Spectrum which I use for highlighter and I love it. Spectrum brushes are so beautiful and so soft. I only have one in my collection and that definitely needs to change. To do my eye makeup I mainly use three brushes from (you guessed it) Real Techniques and Avon. From the Starter Set I use the deluxe crease brush and the base shadow brush. Then from Avon I have a small blending brush. My favourite eyebrow brush is an angled one from Lottie London. You could also use this for eyeliner but I think it's such a good size for filling in my eyebrows. Once I've filled in my eyebrows and done my eye makeup I curl my eyelashes and apply mascara. 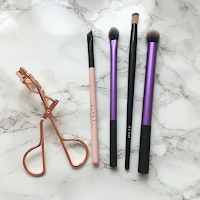 My favourite eyelash curler is a rose gold one from Primark. This does a nice job of curling my lashes and it's so pretty. So there are my makeup brushes that I use on a everyday basis/whenever I put makeup on. 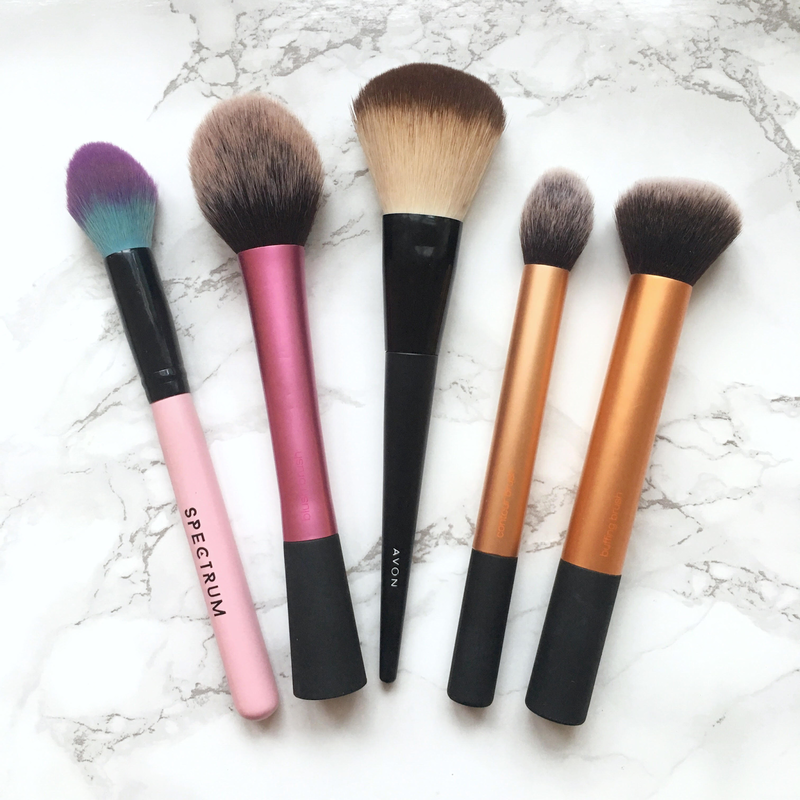 What are your favourite makeup brushes and your favourite brand for tools/brushes? Speak to you soon! What's On My IPhone ?